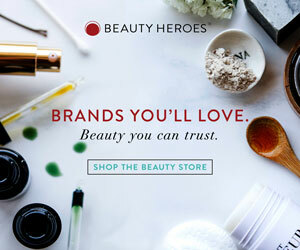 I called 2018 the year of the hydrating serum, and although hydrating serums have continued to gain popularity in the green beauty world in 2018, my favourite category of 2018 was ‘essence.’ Essences have existed in the green beauty world since the start, but this year saw brands take them to a whole new level. For the uninitiated, essences are almost like a cross between a toner and a hydrating serum. I like to use them after cleansing and before serums, oils, balms and moisturisers, and they infuse a suppleness to the skin that mists and toners don’t. My top three essences this year were African Botanics Infusion Micro-Liquid Serum, Agent Nateur holi(Water) Pearl and Rose Hyaluronic Toner and In Fiore Made In Japan Transparence Botanical Water Concentre. Although none of them are actually marketed as essences, they work like essences from Asian brands that drench the skin with moisture, without any heaviness or tackiness. Powder cleansers/exfoliators are a relatively new category. They are very travel-friendly (no leaks or spills; no air travel regulations), and I love how easy it is to control how exfoliating you want them to be. I’m travelling to India next week, and I know the Rodin Cleanser will be travelling with me everywhere. Rodin Olio Lusso Facial Cleansing Powder: Linda Rodin is always ahead of the pack. She brought out her cult face oil in 2007, way before facial oils became a ‘thing’ in the West. And hers was one of the first American brands to introduce a cleansing powder. Inspired by a cleanser she encountered in Japan, when mixed with water, these white granules transform into a soft, luxurious mousse. The bottle is very architectural (a homage to an art deco-era New York monument?) and impossibly chic. It looks very small, but you only need the tiniest amount to wash your face. Unlike the rest of the cleansing powders I’ll be reviewing below, this is more of a cleanser than an exfoliator. The granules dissolve fully in water and there is just a very mild exfoliating action. It foams well (without sulfates, of course) — so well that this is the sudsiest cleanser in my collection right now. I generally don’t like foaming cleansers, but I love this. It’s very gentle, non-drying and effective (it removes basic makeup, sunscreen etc., but heavy makeup will require a pre-cleanse with a balm/oil). In addition to being a great cleanser, it smells totally lush (jasmine and neroli, just like the face oil). Highly recommend.